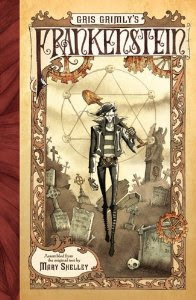 The highly anticipated Frankenstein graphic novel by artist Gris Grimly. It uses the full 1818 text. I'm so excited to read and enjoy this! This is the story of Emily, Victor Frankenstein's daughter. As the daughter of a supernatural creature, she has a few magical powers. Inexplicably, the book is set in Missouri and the Western US. So I wasn't surprised to find this a CreateSpace book. 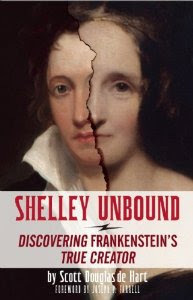 "Shelley Unbound: Uncovering Frankenstein's True Creator" is bound to be controversial. It claims that scholars and feminists have conveniently ignored evidence that Mary Shelley had much more help from her husband Percy Bysshe Shelley in writing the book than previously thought. 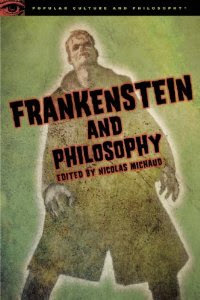 "Frankenstein and Philosophy" will be released on October 15. 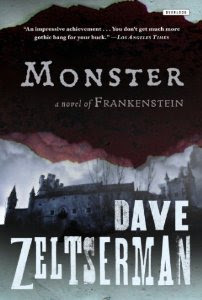 The books asks Why are some Frankenstein’s flops and others historic successes? What is a monster anyway? 25 philosophers contributed essays to this scholarly compilation. 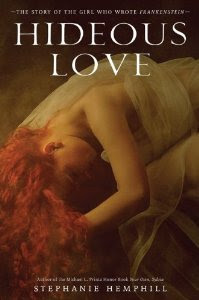 Hideous Love: The Story of the Girl Who Wrote Frankenstein. Not a biography, this is a novel written in.. verse. Uh, ok? Here's an early review of the book from Sweet Tidbits. 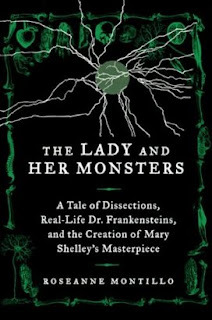 The Lady and Her Monsters: A Tale of Dissections, Real-Life Dr. Frankensteins, and the Creation of Mary Shelley's Masterpiece." 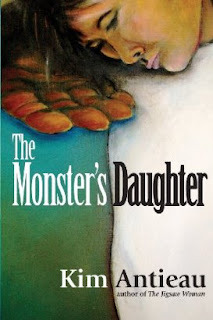 Roseanne Montillo writes about origins of Mary Shelley's masterpiece. She delves into describing the scientists working at the beginning of the pre-Industrial Revolution era, who influenced Mary Shelley greatly. This non-fiction book focuses on the startling science and real-life horrors behind Mary Shelley’s gothic novel.